4-shot blaster and shoulder stock in one! Stockshot: a stock that shots (sorry, shoots). You couldn't describe the Nerf Modulus Stockshot more on point. Of course, a blaster that is also a shoulder stock, is nothing new, but the Stockshot is special nevertheless. 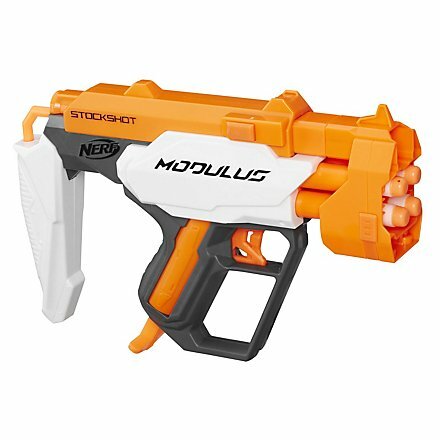 In contrast to the known Modulus Blaster Stock, the Stockshot is a four-shot blaster with Smart AR, which of course is a significant advantage. A spare blaster, which is always mounted on the main blaster, would be better if it has more than one shot. 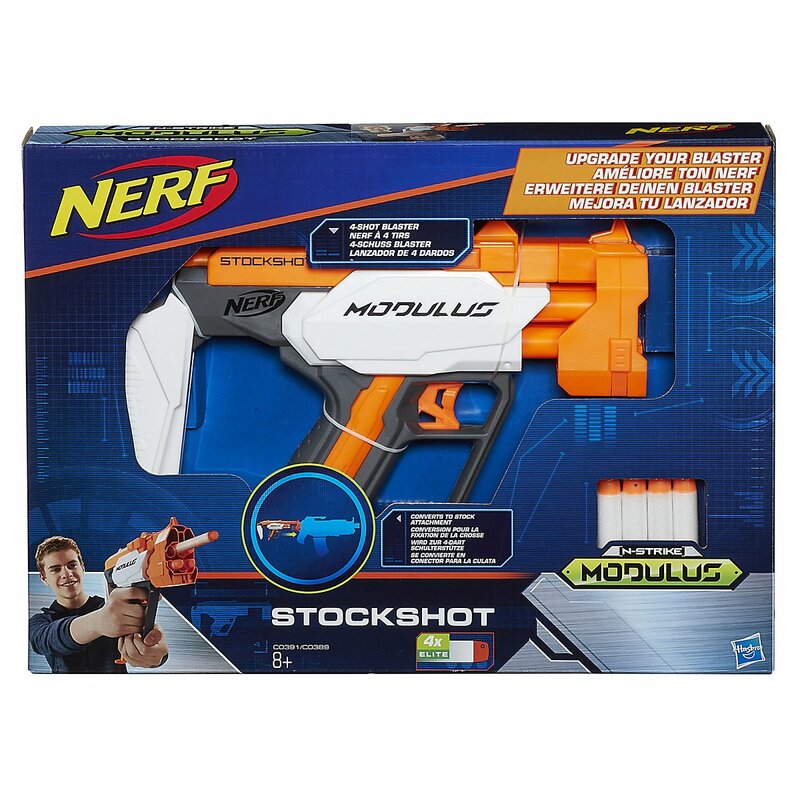 On the one hand, the stockshot is an extendable shoulder stock. 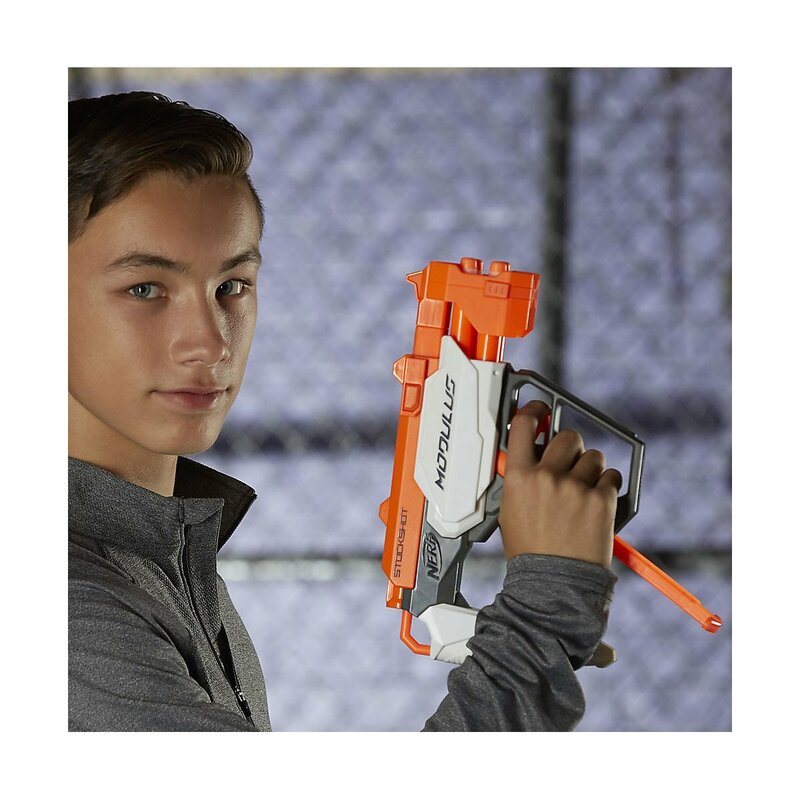 If there are no more darts in the main blaster, the Stockshot can be easily removed and you can defend yourself with four extra darts. 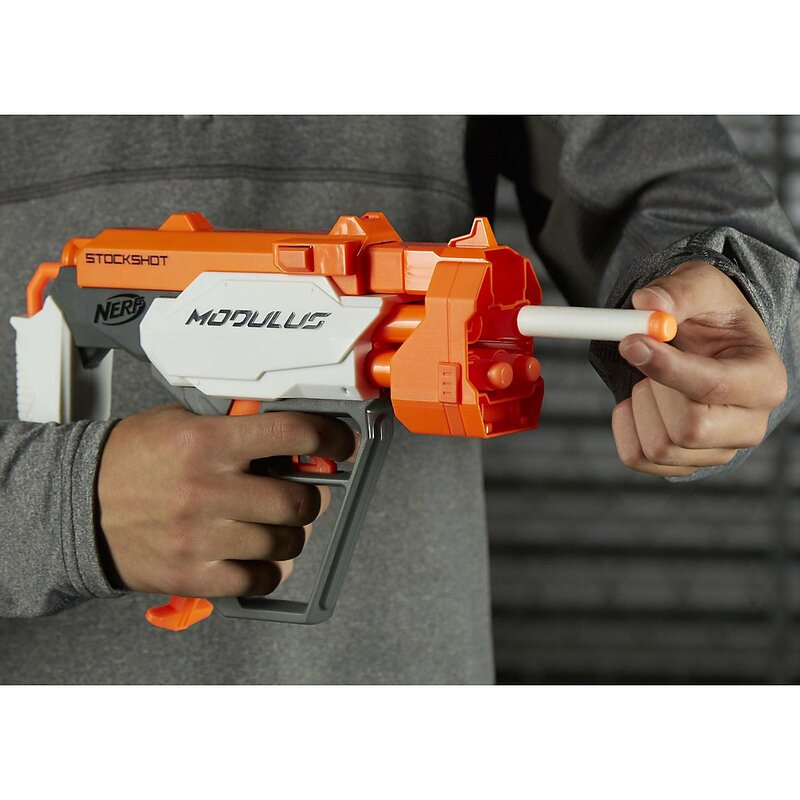 Due to the Smart AR, the darts are individually fired after priming, since the air is directed into the respective chambers. This is particularly good when reloading, as it is not necessary to pay attention to a special order: the empty barrels are sealed off by the Smart AR system.